Can a hand symbol blow out birthday candles? Because the University of Texas’ indelible “Hook ’em Horns” sign turns 60 years old today. The year was 1955, and Longhorns fans were hungry for a spot at the Cotton Bowl. With a 4-4 overall record that season and a tough-to-beat TCU next on the schedule, football fans lit candles and organized rallies all around campus, according to Texas Exes. A few days earlier, while in the Texas Union, Clark was talking with classmate Henry ‘HK’ Pitts, who suggested that the hand sign with the index and little fingers extended, looked a bit like a longhorn, and might be fun to do at rallies and football games. The Texas Aggies had their ‘Gig ’em’ thumbs-up sign, inspired while playing the TCU Horned Frogs. With a big Texas vs. TCU game coming up on Saturday, why can’t Texas fans have their own hand signal? 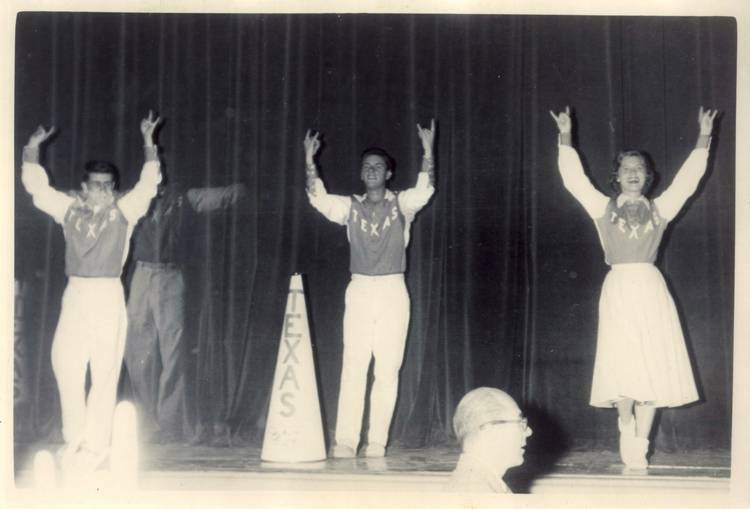 Clark introduced the gesture as ” the official hand sign of the University of Texas, to be used whenever and wherever Longhorns gather,” and it spread to the big game held the next day. It’s a pretty conventional origin story to be sure; it’s certainly more normal than Big Bertha’s atomic genesis. But the “Hook ’em” has certainly endured, from emojis to the name of this very website. 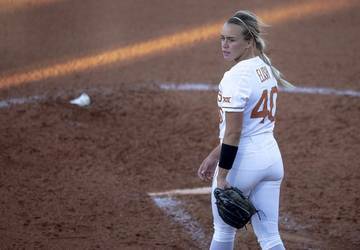 While you’re celebrating the noble Hook ’em, check out some of our favorite moments of team spirit through the years. Family hand out photo of UT graduate Dana Shafir’s fetus with, what looks like, the baby’s hand making a Hook ’em Horns hand gesture. Photo taken at 19 weeks. Provided by David Sheehan. Jimmy Kimmel flashes the “Hook ’em” sign during the Monday taping of “Jimmy Kimmel Live” at the Long Center.